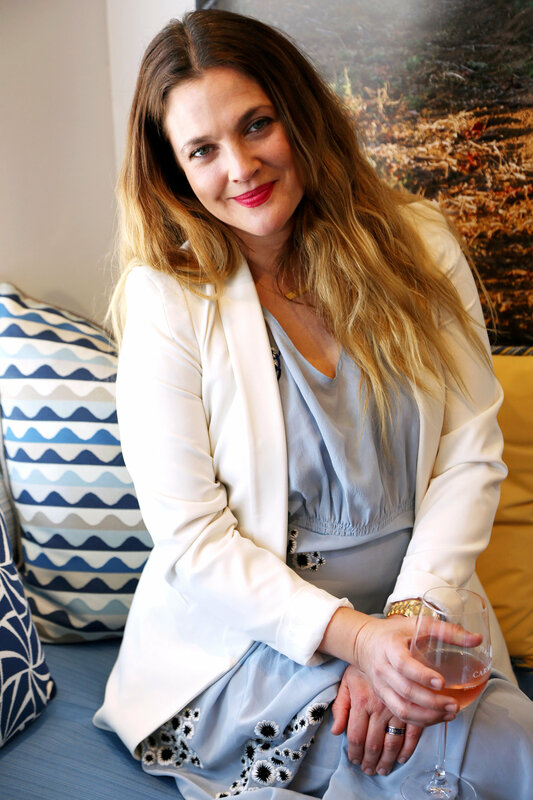 Drew Barrymore has been a model for sisterhood, for empowering women, for picking oneself back up again no matter how bad the situation, for trying again and sometimes again. She’s an actress, producer, writer, owner of a makeup line, winemaker, mom, and proof overachieving never reaches any limit. 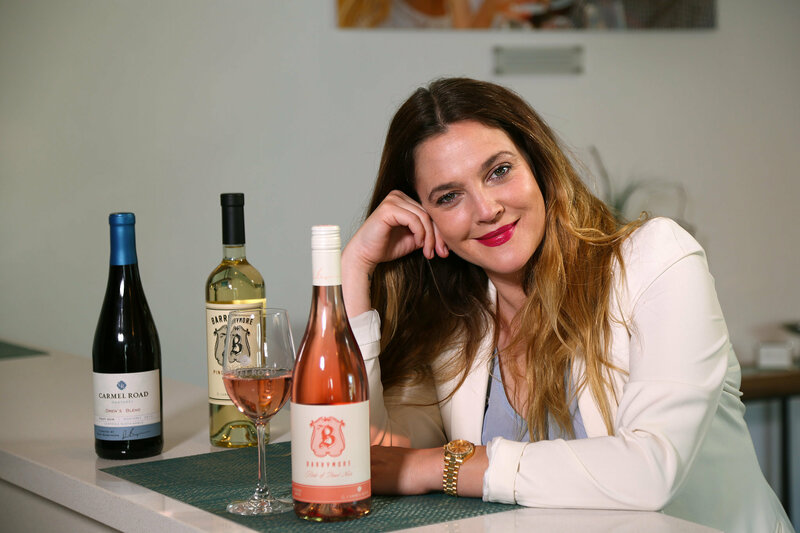 I had planned to interview Drew to celebrate the release of her new Barrymore Wines Rosé at the Pebble Beach Food and Wine Festival when I received a startling headline alert in our editorial chatroom the day before my scheduled interview: “Drew Barrymore and Will Kopelman Are Divorcing.” My stomach dropped. What could I possibly say to her after such a devastating announcement? As someone who works for a company that’s extremely supportive of women and whose founder’s mantra is, “Work hard; be nice,” I decided it could really be that simple. I walked into the Carmel Tasting Room and met Drew’s gaze. The first words out of her mouth were, “POPSUGAR? You look like POPSUGAR.” She grinned, and the tension I felt melted away. I first noticed Drew’s style had an endearing “f*ck it” quality to it. She donned striped socks underneath chunky sandal heels. She explained, “The thing is, the sock and the shoe have to be in love, and they’re not always in love. Sometimes it’s square peg, round hole.” Her hair had a messy waviness like it had been windswept at a beach all day. Her eyebrows were grown out. “I don’t feel like tweezing right now. I need to go back to my ’80s roots. The time right now is natural. Natural base color. Natural brows. Natural face. Not being on the treadmill of fear of aging. It is what it is,” Drew announced confidently. “And I’m wanting to bring the anklet back.” She was gritty and real. We sat at a window seat filled with bright blue pillows, the sun beaming down on us. She had a glass of Rosé in her hand and signaled for someone to bring me one too. We clinked glasses, and it was almost like two friends spending a lazy Saturday together. That’s the second thing I noticed; Drew is sweet and sincere. She was quick to hold my glass as I fumbled with my phone to start the recorder. I asked for her tasting notes. “It’s creamy. Peach and apricot. Grapefruit-forward. Without any sweetness. Enough citrus to keep it crisp. No stinging lemony aspect that can come into an acidic wine.” And sure enough, with each sip, those qualities bloomed on my palate. It was a lovely, easy-to-drink (almost too easy!) Rosé. Upon saying that, Drew quickly cleared up, “I like easy-drinking wines. What I don’t like is when easy-drinking wines are written off as [having] lack of complexity or made without TLC.” This is no wine-label-slapping venture for Drew. She informed me she’s involved in every step of the wine-making process with Kris Kato, Carmel Road’s winemaker. In three years, the team has produced three wines, including a Pinot Grigio (the first from her label) and a Carmel Road Drew’s Blend Pinot Noir. Drew gushed, “[Drew’s Blend] scored 91 [on Wine Spectator], which is such a relief, because, you know, I’m not an oenophile. I’m a new winemaker, producer, and an enthusiast. I’m really excited to make a red for the Barrymore label.” The third thing I noticed about Drew is her rich vocabulary, ie throwing around words like “oenophile.” She busted out lexicon I haven’t heard since my SAT days, but it’s not in a snobby way. Rather, in doing so she expresses her love of language and has an impressive knack for using the exact, appropriate word at the right time. But back to the wine! Good wine is only half the equation. It becomes great with food. Drew’s favorite pairing is chilled Pinot Noir or Rosé with sushi, “because it’s so light and clean.” Though a multitalented person, a homecook for herself she is not. “I only cook for the kids. They get three-course meals, and I order PostMates. Usually Chinese food delivery at night or Mexican. Asian or Mexican food via anywhere who will throw it at me. Literally, guy on bike tossing up to window,” she answered truthfully. Having read her book, I wonder to myself whether she’s talking about Steven Spielberg, a close friend and mentor to Drew, and if she’s referring to her recent separation. And then, I brush both of those thoughts aside. Because as the story stands, what matters is it’s universal. It’s bigger than the recent events going on in Drew’s life. Through her own life experiences (without hashing out the details), she neatly offers up a lesson we could all benefit from. We all go through tough times, and we all need to reach out to someone to offer us something as encouraging and graceful as taking one step at a time.